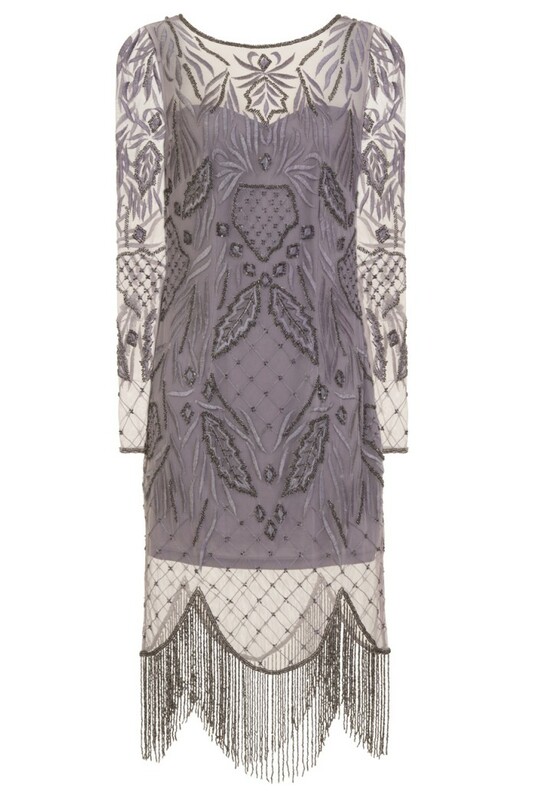 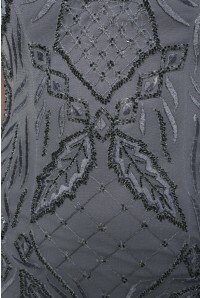 Anything but dull, this Grey Tassel Dress has gorgeous Gatsby glitz in abundance! 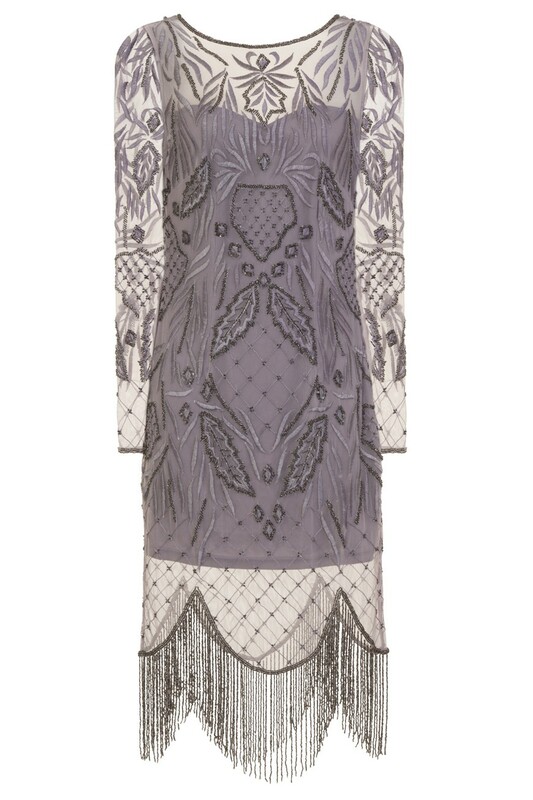 Get ready to look like you have just turned up to one of Gatsby's infamous parties as this soft grey beaded dress will have you VIP list in no time. 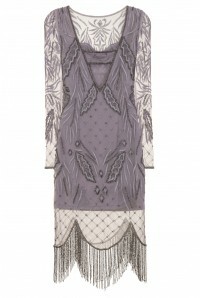 We have been on the look out for long sleeved beaded dresses for a while so this tasselled dress has us tickled pink. 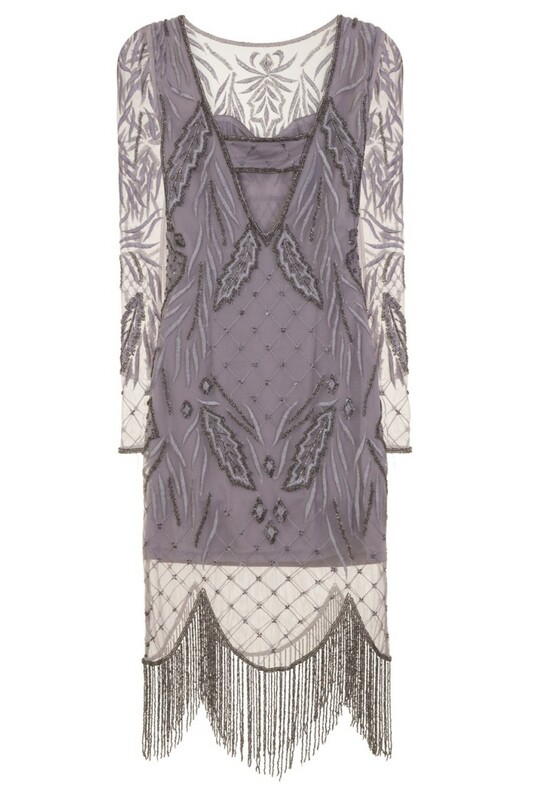 Our greedy magpie eyes are feasting on those beads - just check out the embellished leaf design which brings this 1920s flapper dress bang up to date for this season's Nature trend. 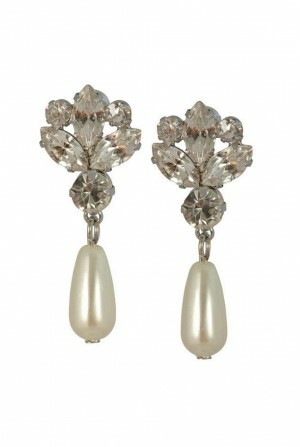 As there is so much beautiful bling on this party dress, team with pearl drop earrings and an understated clutch to complete the look.